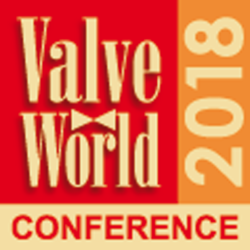 Users, manufacturers, developers, service providers and retailers of valves and fittings can look back to a successful three days, full of innovative high-tech solutions. For the fifth time, this leading global trade fair and its accompanying conference took place at the Düsseldorf Exhibition Centre, from 27 to 29 November 2018. 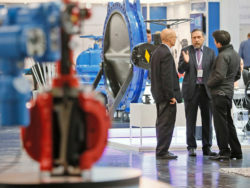 Innovation platform, industry meeting point, trend barometer: Also in 2020, VALVE WORLD EXPO is once again the world’s leading trade fair for industrial valves. 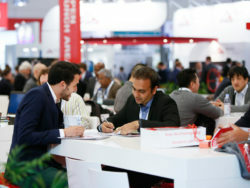 With VALVE WORLD EXPO CONFERENCE a further attractive visitor magnet is again integrated into the trade fair concept. Present your potential & portfolio! Present yourself, where the world of experts inform and orientate themselves regarding the technologies of the future. Take advantage of the unique opportunity to meet all of the important decisionmakers of an entire industry. And present your portfolio and your potential there, where international experts gather information on the technologies of today and the possibilities of tomorrow. Flip through VALVE WORLD EXPO Technology Spectrum! VALVE WORLD EXPO unites the entire world of valve technology under one roof. Right in the middle of the trade fair event: The international specialist conference, organized by our partner KCI.